Measuring in at 2.2" tall by about .75" wide, Yocan's Cerum device is as discreet as it gets, comfortably fitting in a pants of jacket pocket. 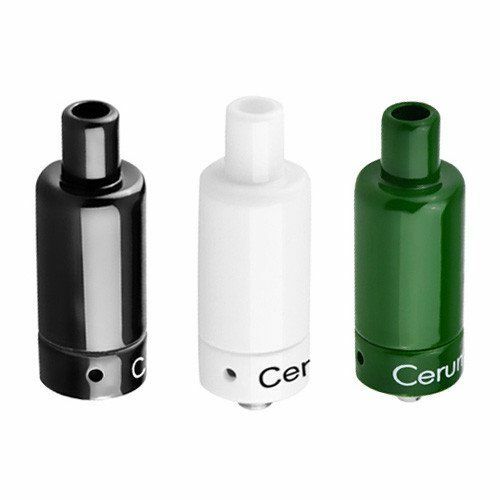 This all ceramic wax atomizer features a no thread design that allows you to quickly refill the device in just a moment's notice by simply pulling the top and bottom sections apart using just two fingers. 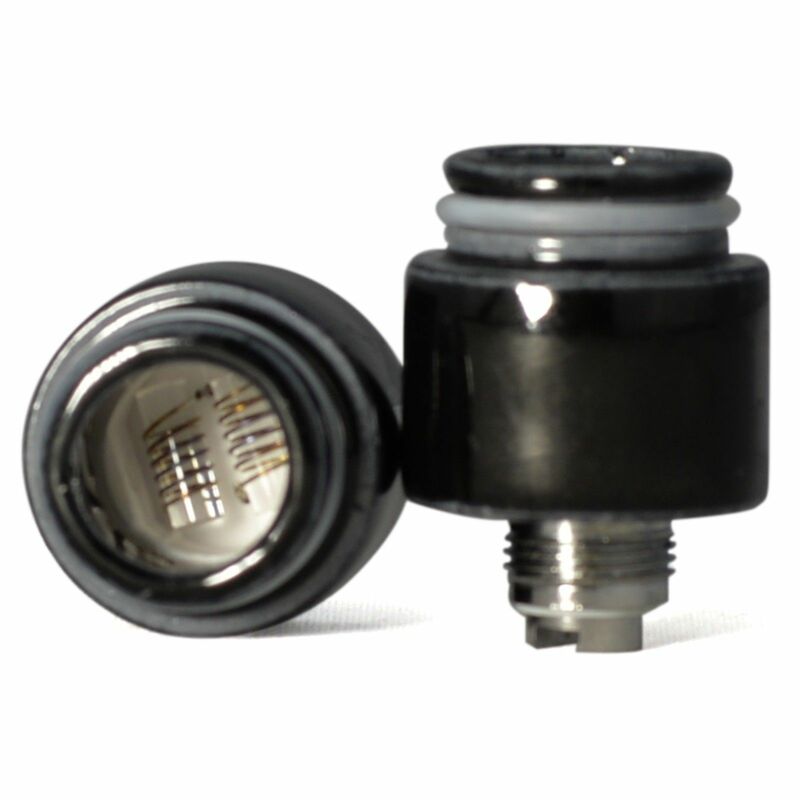 Once opened you will see the Cerum's Quartz Dual Coil atomizer coils, similar to the Evolve Plus QDC atomizers. The dual coil construction allows you to vape through larger quantities of material with just a quick touch of a button while the pure glass quartz heating element will create an absolute pristine quality of vapor that is packed with flavor. 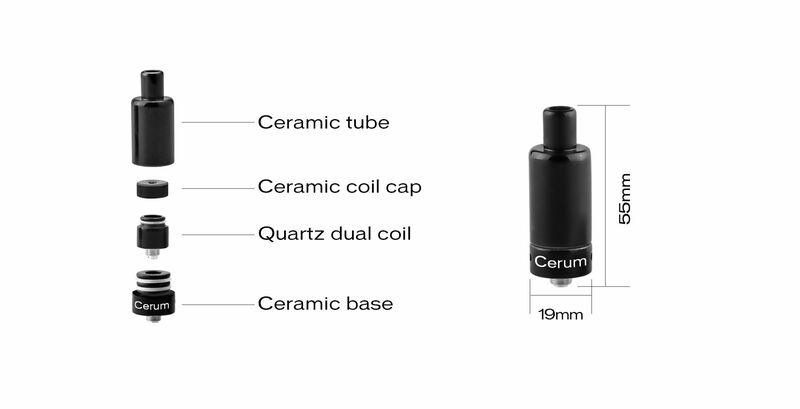 Each of the Yocan Cerum QDC quartz dual coil atomizers are rated at 0.8 ohm, seeing optimal results within the power range of 15-25W. 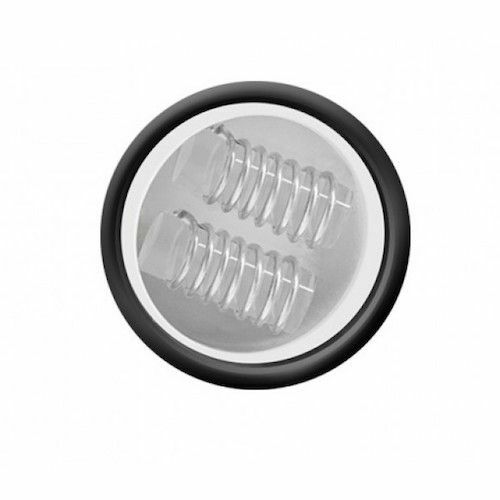 Yocan's Cerum wax atomizer also features a 510 threading, a bottom airflow channel to increase vapor production and each coil comes equipped with the innovative coil cap to minimize leakage and ensure every last bit of material packed inside gets vaped.